Faraday's famous experiment showed that a changing magnetic field produced a current in a loop of wire. 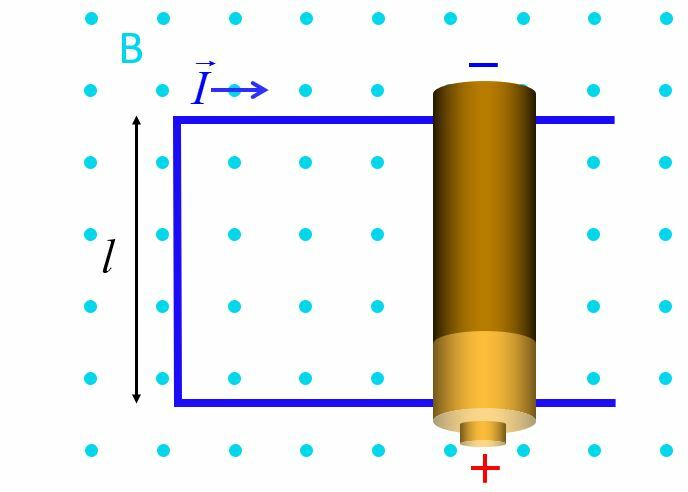 Consider a conductor moving through a constant magnetic field. Charges in the conductor experience a Lorentz force. Negative charges move downward creating a charge imbalance, which creates a downward electric force. 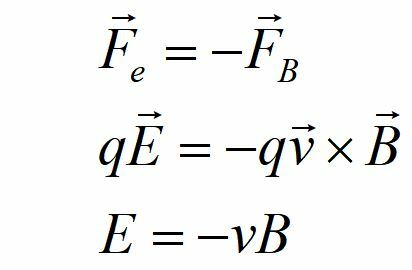 Charge flows until the electric force is balanced by the magnetic force. The result is that the magnetic force on the charges in a moving conductor creates an electric field. 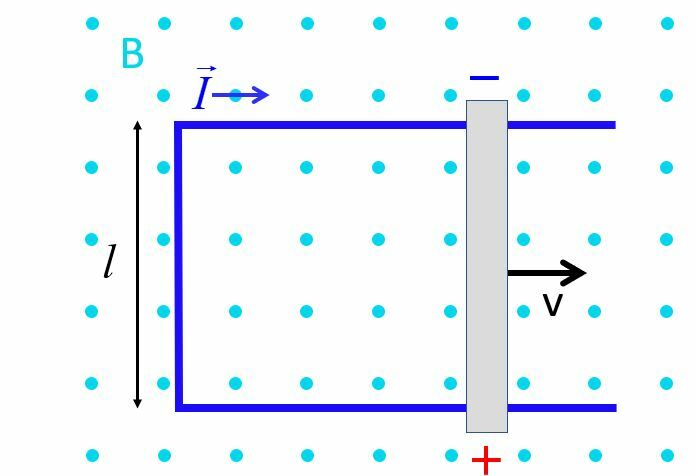 The electric field creates a potential difference between the ends of the conductor. The motion of the wire induces a potential difference in the conductor. We call this potential difference motional EMF. 1. 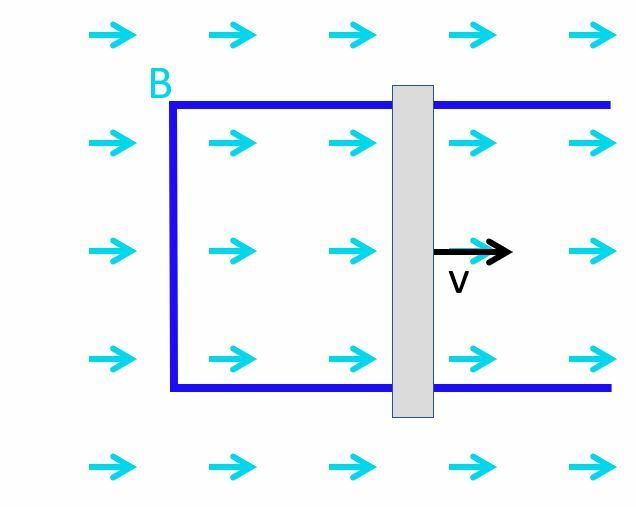 A conductor moves through a uniform magnetic field. 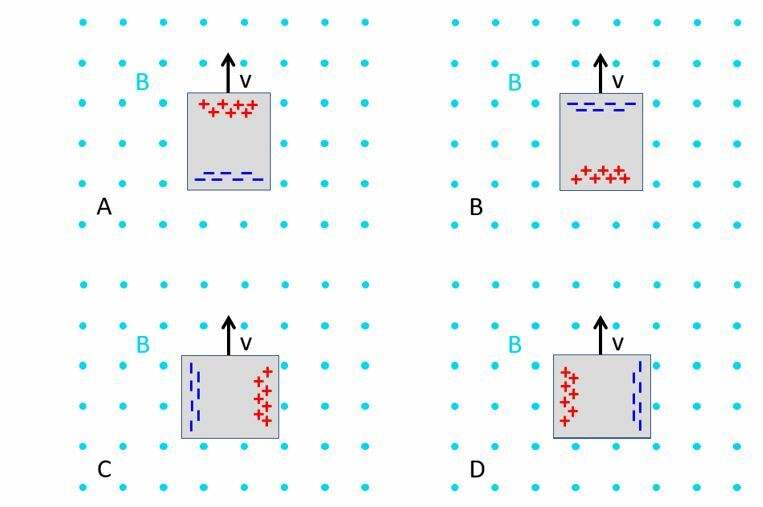 Which figure shows the correct charge separation? 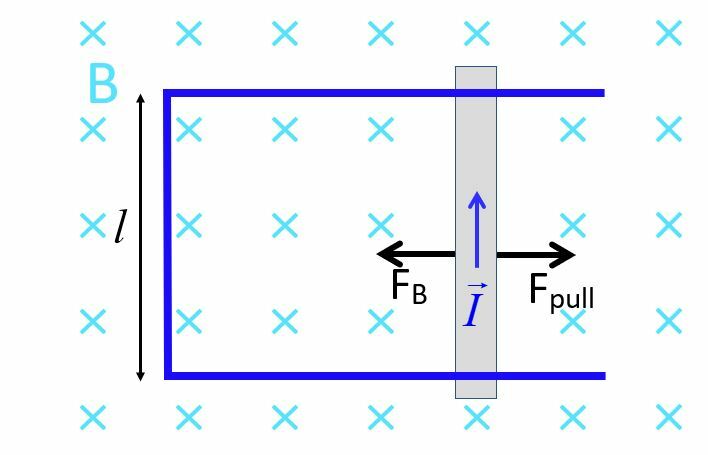 The charges in the moving conductor are pushed by the Lorentz force. They will move toward the end of the conductor until they reach equilibrium. They cannot keep moving because there is nowhere else for them to go. If we attach wire to the ends of the conductor to create a circuit, the charges will flow through the wire. The motional EMF will create an induced current. The magnitude and direction of the current depends on the velocity of the conductor and the direction of the magnetic field. In effect, the moving conductor acts like a battery, suppying an EMF to the circuit. 1. What is the direction of the induced current? Pushing or pulling the conductor completing the circuit creates motional EMF, which induces a current. 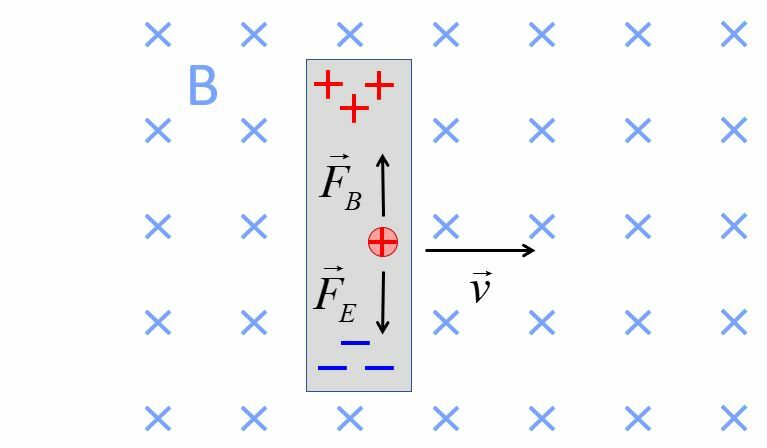 If the pulling/pushing force balances the magnetic force on the conductor, the conductor moves at constant velocity. The energy dissipated through resistance in the circuit equals the work done by the push or pull. A mechanism that converts a push/pull to energy in a circuit in this way is called a generator.